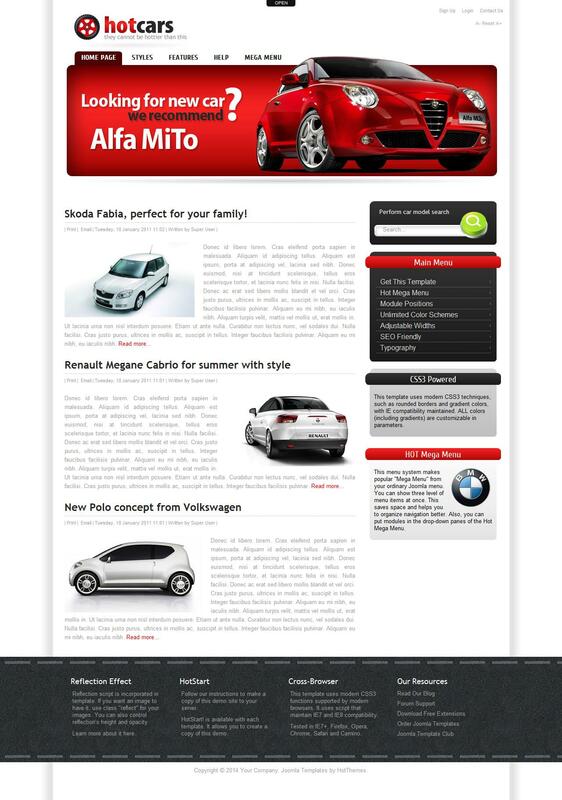 HOT Cars - stylish template automotive subjects from the developers of high-quality templates HotJoomla. The template presented 4 preset design options with the ability to customize the color scheme through the control panel layout template settings. There are more than 20 module positions, SEO optimized code files, support for Google fonts display on mobile devices and the presence of a dynamic drop-down menu. Corporate image rotator Hot Effects Rotator provide flexible display materials on the site. Perfect for creating cards and various sites portals.